Advanced HEPA Carbon Air Purifier Filter System. One of the best choices for Asthma or Allergies. The Austin Air National Sleep Foundation Bedroom Machine™ is the most advanced HEPA and Carbon filtering system that Austin Air has ever designed. It has been built to meet the requirements set out by the Johns Hopkins University Medical School for ongoing studies where this new filtering system must captures gasses and particles at the nano size level. This is the first HEPA filter air purifier to carry the endorsement of the National Sleep Foundation. 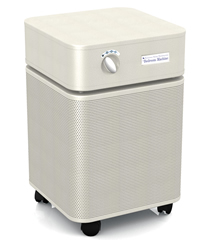 The Austin Air Bedroom Machine offers five stages of filtration, making it capable of capturing the broadest ranges of particles, allergens and chemicals formerly not available in a bedroom air purifier. For people who desire a better quality sleep. The Nation Sleep Foundation Bedroom Machine™ combines proven filter technology to provide a safe and effective solution to enhanced sleep. Every minute, over 250 cubic feet of air passes through 15 pounds of Activated Carbon, over 60 square feet of True Medical Grade HEPA and HEGA Carbon Cloth, providing air so clean it could change your life and how you sleep. 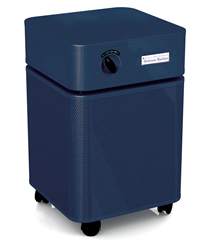 The Bedroom Machine™ addresses the complete spectrum of air cleaning, removing sub-micron particles, noxious gases and chemicals. Austin Air’s 360-degree intake system draws air into all sides of the The Bedroom Machine™, passing it through a 5-stage filter. The result, more clean air delivered faster and more efficiently than any other air cleaner on the market.